Friday night New Haven outlasted Clopton to win consolation in the Montgomery County Tournament and Saturday morning the junior varsity followed up with a win over North Callaway for consolation in the Hermann JV Girls Tournament. Montgomery County, Mo - Rachel Steinhoff led all scores with 17 points and was perfect from the free-throw line hitting seven out of seven helping the Lady Shamrocks to a 39-29 win over Clopton. Last year, the Lady Shamrocks went on one the most prolific postseason runs in school history to end their season playing for a State Championship. 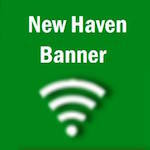 However, after Dave Luecke’s departure, the 2012-2013 season will be the beginning of a new chapter for the New Haven women’s program. Last year’s assistant coach Doug Peirick has moved into the Varsity position while Tim Scheer will take over the Junior Varsity squad and assistant coaching spot. New Haven, Mo – Last Monday, High School Athletic Director Ray Steinhoff began the Athletic Banquet by delivering an emotional speech about Dave Luecke’s departure from New Haven High School. New Haven, Mo - Yesterday morning The Missouri Sports Writers and Sports Casters Association (MSSA) announced the East Central All-District (Class 1, 2, & 3) Basketball Teams. New Haven, Mo – Great players in all sports are known to “rise up” come playoff time. They seem to make big plays at the right time and when the game is on the line, the ball is in their hands. Nothing heals the sting of losing the last game of your senior year. Especially when your expectations are so high, like mine have always been. Rachel Steinhoff slices and dices down the lane late in the first half as she was fouled.